This week marks a piece of theatre history. 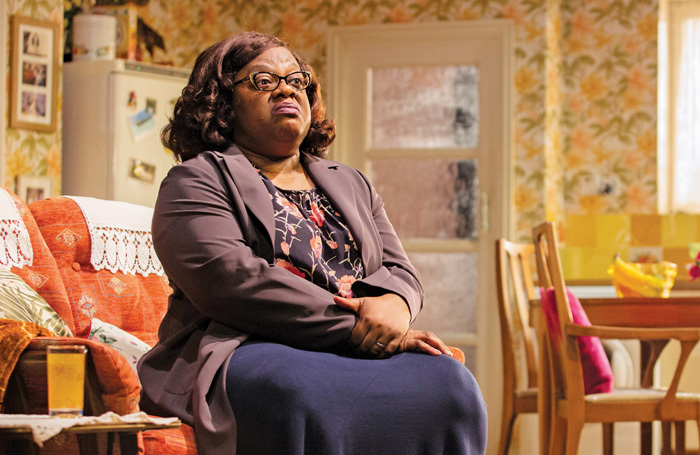 Nine Night’s opening at the Trafalgar Studios this evening marks the first time that work by a black British woman has been staged in the West End. Nine Night, which first ran at the National Theatre earlier this year directed by Roy Alexander Weise, is Gordon’s first play. It opened to a string of four and five-star raves, with The Stage calling it a “gift”. This was cemented last month when Gordon won in the most promising playwright category at the Evening Standard Theatre Awards. 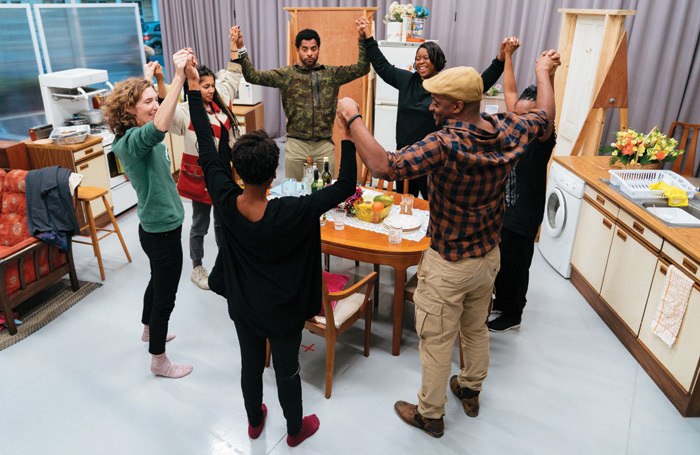 Nine Night explores a family in the throes of traditional Caribbean mourning, an extended wake where the deceased is celebrated night after night before their spirit departs. At the National, it was a play both warm and familiar, but also, for many, educational. Even Gordon herself only learned about the Nine Night tradition four years ago when her grandmother died. Before then, it had never even come up in conversation. Its success at the NT brought the transfer to the Trafalgar Studios, where it runs until February. Gordon regularly attended performances of her play during its run at the National to gauge audiences’ reactions. But at Trafalgar Studios she will be at every single show, on stage. Gordon will be replacing Franc Ashman, although she never wrote the play to be in it. But when the opportunity came up, her partner encouraged her to take the role saying she would regret turning it down in the long run. The No Boys Cricket Club, Theatre Royal Stratford East. Working in the local dry cleaners with my best friend on a Saturday. I have a couple of writing commissions coming up. Just how patient you have to be. If you go up for five jobs in a row and you don’t get them, it’s not a reflection on your talents, it’s a reflection on others’ tastes. My mother without a doubt. My work ethic comes from her most definitely. There’s a new thing that has crept in – asking people to audition off-book for theatre. If you have time then great, but going in knowing the character with questions to ask is just as important. Auditions shouldn’t be a memory test. If you hadn’t been a theatremaker what would you have done? I try to say hello to people before I see them on stage, so we don’t have our “Oh hello, how’s it going” for the first time when we’re in character. Juggling being the playwright and the actor meant Gordon had to work twice as hard during rehearsals. She recalls hearing small things she wanted to change while in character but having to wait until the end of the week to tweak or make changes. She says it was simply about screwing one head on and taking another off depending on where she was. And despite writing the play, Gordon says she was “by far the worst there when it came to lines. They’d all remembered everything and I thought I knew it; but then I realised I was just paraphrasing the script”. 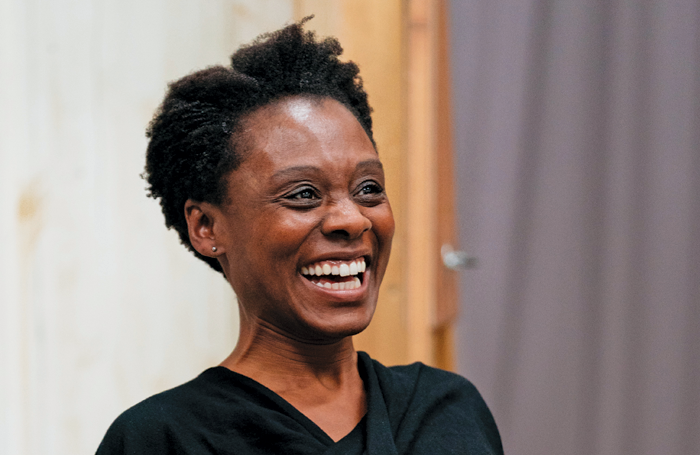 Gordon says the dynamic of her being a writer and actor on the show was no different to normal rehearsal rooms, mainly because it felt like being back in the folds of a big family.